Last month, I announced the winner of the illustration giveaway who was none other than Sheryl of the personal style blog Walk in Wonderland. If you're not familiar with Sheryl's blog, expect to find plenty of outfits in her signature laid back yet always chic California style. 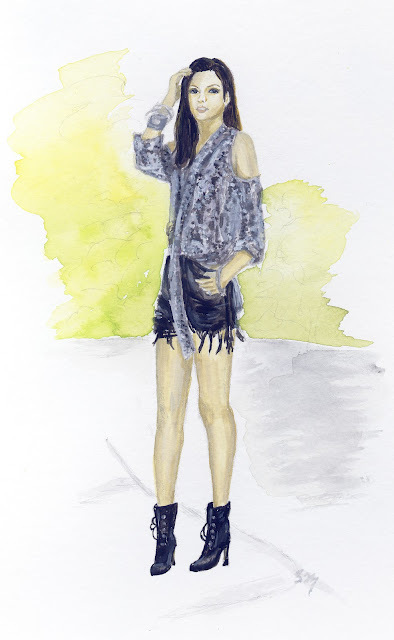 Here she is with what has to be the coolest blouse ever: loose fitting and patterned with a tie-front and exposed shoulders, with black jean shorts and high-heeled boots. Lookin' good.